OS grid reference TQ 3085 8087. In the stone-vaulted cellar of number 5 Strand Lane, off The Strand, Westminster, in a narrow alley-way close to King’s College, and next to Surrey Street, London WC2, can be found a very well-preserved Roman Bath, dating from the 2nd century AD, that is now regarded as a notable and historical reminder from the Roman city of Londinium (London), but now a curiosity of hidden-London. The bath is still in use and has been in one way or another since the late 16th or early 17th century, having been lost for hundreds of years after the Romans departed at the beginning of the 5th century AD. It seems the bath had belonged to a grand Roman villa which had stood on this site in the early days of the Roman occupation, probably the 2nd century AD, and which had stood on a raised area of land outside the city walls, overlooking the river Thames. The site is near to Charing Cross underground station and Covent Garden. The Victoria Embankment is just a short walk to the south. 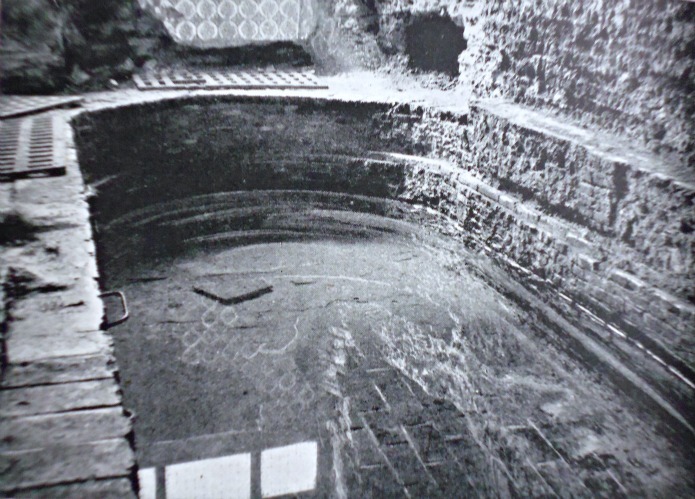 The Roman Bath on the south side of the Strand is in a well-preserved condition considering its age; and is under 5 feet (1.5 metres) below street level, measuring 16 feet in length by over 6 feet in width and nearly 5 feet deep. The plunge bath as it is often called is still fed by a spring of cold water from St Clement’s Well just as it was in Roman times and, also more recently in the 17th century. Its stonework consists of bricks that are 10 inches long by 3 inches wide, all solidly packed together and water-tight. The stonework surrounding the Roman bath is very grand and it certainly looks ‘Roman’ but is it? However, the ugly iron grate-covers at the sides do not do it any justice, though they serve their modern-day purpose as inspection covers! In 1612 King James I had the Roman bath fully restored from whence it had been the property of the Earls of Essex in the late 16th century; he then continued to patronise it – as did many other royals including Anne of Denmark, his wife, and a number of royal courtiers. Then in the 18th century it was frequented by London’s wealthy and famous. In 1784 John Pinkerton the Scottish antiquarian described it as “a fine antique bath in the cellar of a house in Norfolk street in the Strand.” Norfolk Street no longer exists in name. At this time it belonged to the Earl of Arundel whose house and gardens were adjacent to the bath. In 1792 the antiquarian William Weddle Mp died suddenly after taking a plunge in the Roman bath. The famous author Charles Dickens visited the bath and then wrote about it in his book ‘David Copperfield’ recalling, perhaps, that master Copperfield had “many a cold plunge in the said bath.” The bath fell in to disuse in the late Victorian period but in the early part of the 20th century it was again restored to what we see today. The bath is open to the general public one day a week (by appointment) and is today maintained by The City of Westminster on behalf of the National Trust. Roman artefacts have been discovered close by including: a sarcophagus and numerous items of pottery and coins, all dating from the Roman period. In September 2011 another Roman bath was found by railway workers on the south-side of the Thames at the corner of London Bridge street. A few historians have argued that the bath only dates from the 17th century, being built as a water feature or spa-bath by the Earl of Arundel, but this is now generally considered not to be the case – and so the thinking is that the bath is indeed Roman. Romantic Britain, edt. by Tom Stephenson, Odhams Press Limited, London, WC2, 1939. 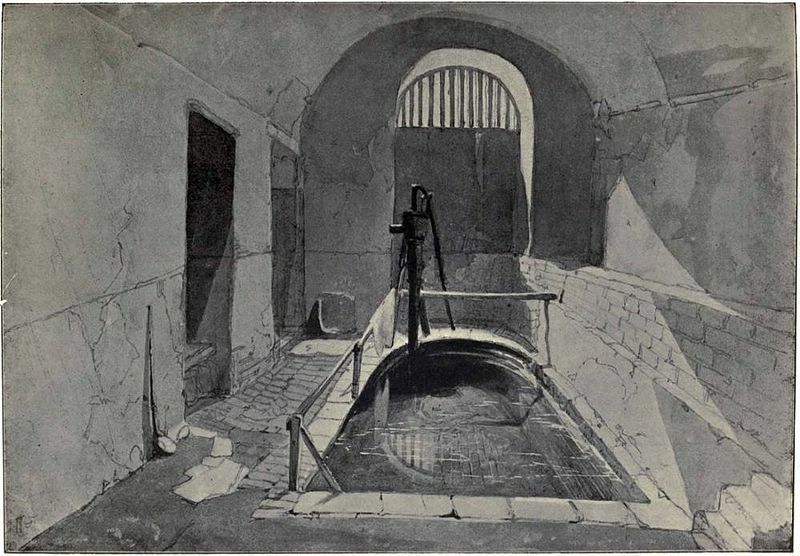 Categories: Misc Subjects, Roman Sites | Tags: Roman Bath in Strand Lane in London WC2, Roman Bath in Strand Lane Westminster in London | Permalink. Thankyou BarryS for your kind comment. Keep them coming! I would think it is down to London being ‘heavily’ built over following two world wars, with little regard for the antiquities beneath or above the ground. Thankfully not every town or city was the same. But good question. Webmaster.